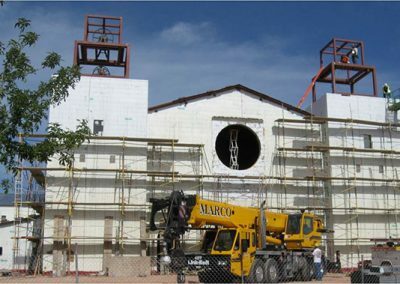 The Phoenix Diocese of the Catholic Church has become a major force in shaping the direction of the ICF industry. 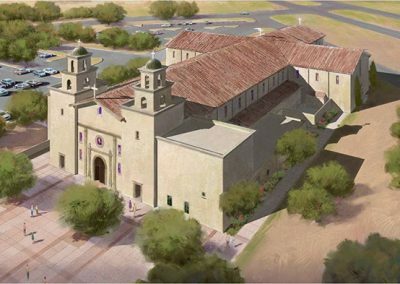 They commissioned the St. Mary Magdalene Church in Gilbert, Ariz, which was featured in the June issue of this magazine, as well as the Immaculate Conception Catholic Church in Cottonwood, Ariz. featured here. 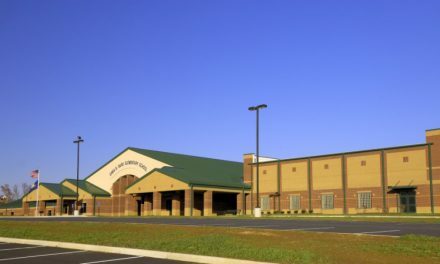 Completed in 2009, the 30,115 sq. 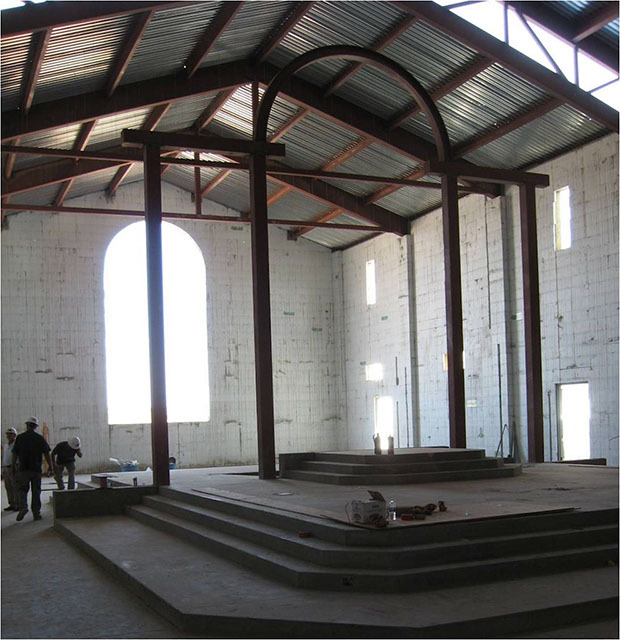 ft. church used ICFs for virtually every wall. 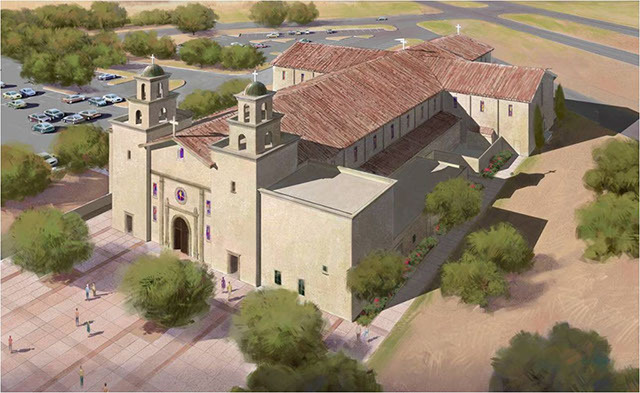 The complex design includes numerous T-corners, arched and round windows and 46 integrated pilasters. Interior ICF walls reach to 50 feet without intermediate supports. 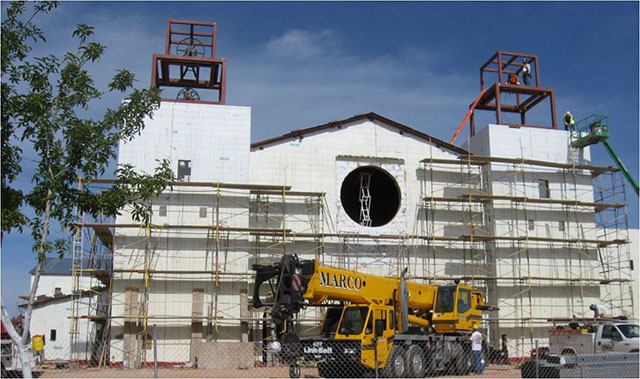 Buttress walls and two free-standing bell towers were also built from ICFs. 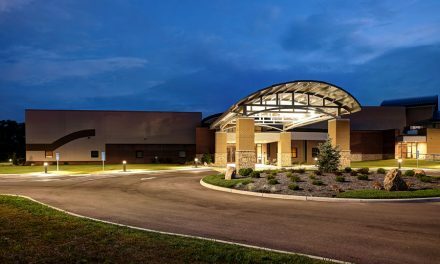 In total, the project used well over 58,000 sq. ft of ICFs. An interesting feature of the final HVAC design is that it uses an underfloor cooling system with vents under the pews. The air is then re-circulated at the 12- to 15-foot level instead of rising to the roof at 32 to 46 feet above the finished floor. 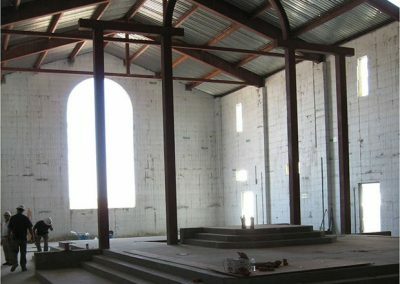 “The change from masonry to ICF was a rather large battle fought between the design team members, the parishioners and the diocese construction office,” says Hatfield. 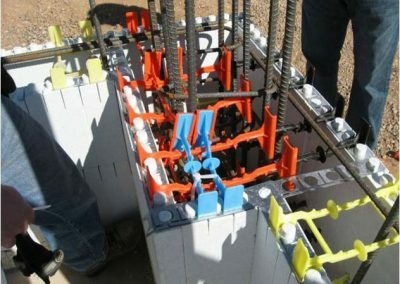 “However, since the project has been completed and proved that ICFs are suitable for large construction projects of this type, a great deal of additional projects have happened using this product. 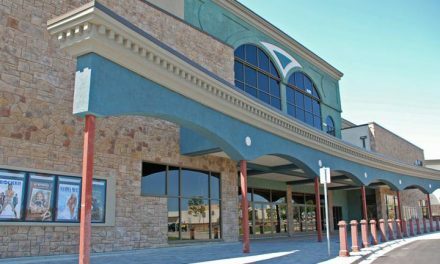 A great deal of the credit for making the project such a success goes to Insulated Concrete Walls, who served as the ICF installer. They began eight feet below grade and worked to the gable ends 49 feet above the desert floor. 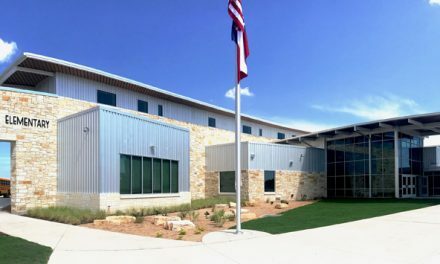 The building has no intermediate floors, so they combined Reechcraft’s Panel Jack with a conventional masonry scaffold system to keep the walls plumb as they worked their way up. ICFs also used for 46 integrated pilasters.